The NV11 is a market leading, compact, note recycler from Innovative Technology. 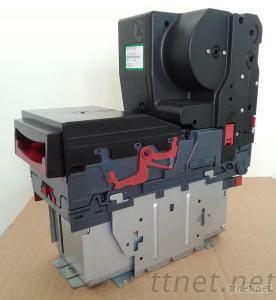 Combining an NV9 USB bank note validator and ‘Note Float’ payout unit the NV11 can store and recycle up to 30 notes. The NV11 maximises cash efficiency and reduces coin starvation, significantly reducing operational costs. The NV11 comes with a standard 300 note capacity cashbox and uses eSSP (encrypted Smiley Secure Protocol or ccTalk. The NV11 leaves the factory pre-set to at least one currency so is ready for immediate installation. Our ITL bill acceptors can support ID003 protocol now!